Phoenix Drag Tires Front Drag Tire 22.5" x 4.0" - 15"
Phoenix offers a wide variety of premium drag racing tires, including front runner tires. 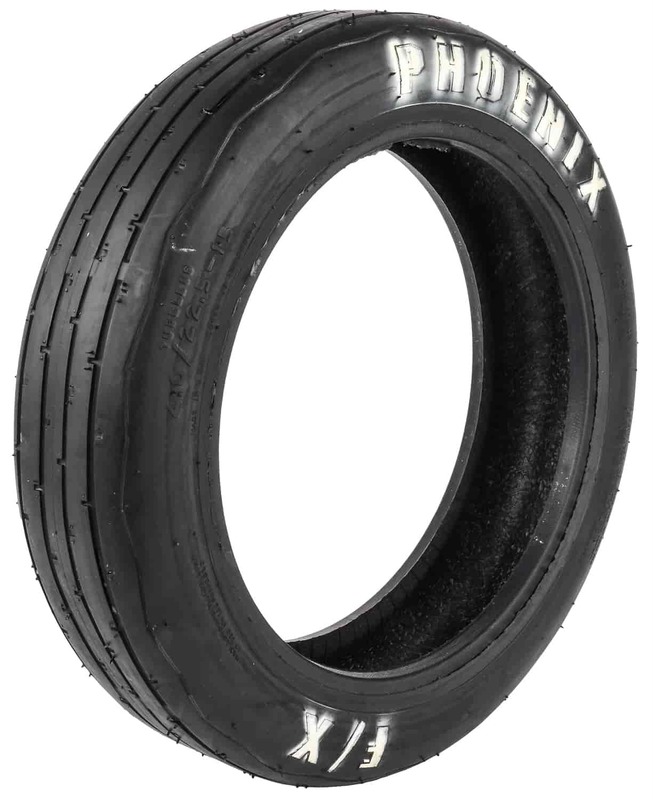 Phoenix Race Tires offers front runners in a variety of sizes to fit many applications, depending on how much rollout you need for the front of your drag car. All Phoenix front drag tires feature a lightweight bias-ply construction with a race-friendly tread pattern for less rolling resistance. PH426 is rated 5.0 out of 5 by 1. Rated 5 out of 5 by Hotrodshelly from Looking Good I've been into drag racing since I was 16 been married three times I'm a parent of 9 and my baby is 4 yrs old, and I still race as you can see on a budget and these tires fit mine just right, they went on my rims perfect with out a problem.